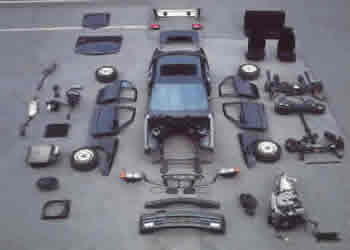 When you are looking for discount auto parts, look no further than UNeedAPart.com! We can help you find discount auto parts for all types of vehicles including sports cars, minivans, full-size sedans, luxury cars, SUVs, pickup trucks and more! Start your search for discount auto parts now by filling out our Part Requester form and receive a price quote sent directly to your email in a matter of minutes. We will also provide you with the contact information of the suppliers in our 7,000-plus parts dealer database that carry the exact discount auto parts you need. From discount auto parts like used transmissions and engines to axles, air injection pumps, airbags and more, UNeedAPart can track down the exact part you need, exactly when you need it! To find discount auto parts, please select the year and make of your vehicle from the drop-down menu above and click Next Step.